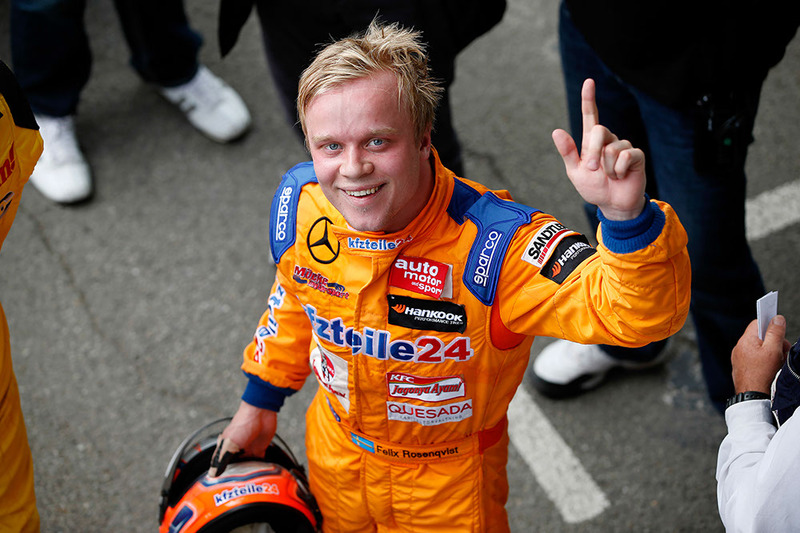 Rosenqvist claimed the 74rd Grand Prix de Pau with a brilliant display. © FIA F3 Media Services. One of the unfortunate things about covering motorsport and working a separate full-time job is that Monday’s and Tuesday’s can become something of a blur. When flights land at 11pm on a Sunday night or even 7am the next morning (leading to an additional two-hour trip home or to an office), it sometimes becomes necessary to cool off for a time. …which can also be quite useful too. Rather than bang out and endless mishmash of words for the sake of it, sometimes it is best to kick back, relax and contemplate. This week has been no different. Returning from Pau (via Bordeaux) on Sunday night / Monday morning (it was a mixture of the two), one could finally appreciate Felix Rosenqvist’s Grand Prix winning drive, following what had been a trying weekend. Issues during first qualifying for the 73rd Grand Prix de Pau led to a poor starting position in the opening race on Saturday, although the Swede did make up a large number of positions on a circuit where overtaking is considered as difficult as at Monaco. There followed a duel with FIA European F3 points leader Esteban Ocon, during which Rosenqvist clattered the barrier entering Pont Oscar and was out on the spot. That the Frenchman was driving an already wounded machine at that point played its part in a collision that looked from the outside like a racing incident on what is little more than a narrow lane that passes under a bridge. Ocon came closer to crossing the line when got a poor start from pole, allowing Rosenqvist into the lead and giving Max Verstappen an opportunity to attack, during which he clipped his Dutch rival, damaging Verstappen’s machine to the point where he went straight into the barrier on the second lap. The teenage Verstappen had crashed out needlessly during race two – an incident that earned him the ire of some in his van Amersfoort awning – but there was little he could have done about his race three exit. As has been documented many times over, these things do occur at race starts. Certainly Ocon was aggressive – probably moreso than was expected for a race on such a tight street course, but this is motor racing and it is not, nor should it be the job of the leading driver to simply move aside. Away from the on track action, the atmosphere over the weekend was a positive one. FIA President Jean Todt visited Pau on Saturday and was – apparently – rather pleased with the event and took note of the development and strengthening of the series, before leaving for the Spanish Grand Prix. While issues remain in the wider world of Formula 3 with regards to national series’, the FIA Single-seater Commission – headed by Gerhard Berger – can point to their efforts in the European Championship and acknowledge that it has been a success so far. Now the task is to maintain this progression beyond its second season. The focus of the Single-Seater Commission is now FIA Formula 4, which gets going very shortly in Italy. Beyond that, there were some positive comments for Dallara, following the huge airborne crash between Alexander Toril and Mitch Gilbert at the beginning race one, with T-Sport team boss Russell Eacott keen to emphasise the strength of the modern chassis design. Such was the violence of the accident; it is not inconceivable that an older design may have wielded a very different result for the drivers involved. That no marshals or photographers were caught up in the incident was also a touch miraculous. Motorsport is, of course by its very nature, a risky business, but some conditions make it riskier than others. One element that did come as a surprise was when a driver confided just how much weight had become an issue. The new regulations of the series set the new minimum weight of car and driver at 565kg – a figure up from last year due to the heavier engines and other parts in the rear of the machine. This driver, who weighs in at around 79kg at a height of over six foot, noted that on some occasions, he has emerged from his car at the end of sessions feeling dizzy and light-headed. The driver commented that in order to meet a low weight, he has had to significantly reduce his energy intake since graduating to Formula 3. Those who considered this a ‘Formula One-only’ problem may need to start looking further afield. One can only hope this does not contribute to an accident in future. The organisation around the Pau Grand Prix was superb. Throughout the weekend, marshals cleared crashed and broken cars efficiently and quickly, ensuring that disruptions – of which there were many – were kept to a minimum and at a circuit a tight and winding like Pau, that is to be commended. Lastly, the spectacle of the Saturday night Twingo Cup from the the Boulevard des Pyrénées was quite astonishing. For now though, a weekend off before preparations for the GP2 Series and Formula Renault 3.5 at Monaco begin in earnest. After that, it will be Spa-Francorchamps for the second edition of the World Series by Renault package in 2014. Maybe one day, I will take a holiday.